Home / BATHROOM REMODELING AND MAINTENANCE INFORMATION BLOG / Is a Bathroom Renovation Worth the Hassle and Cost? Is a Bathroom Renovation Worth the Hassle and Cost? With 2019 in full swing, you may be working your way through some New Year’s resolutions. While some resolutions—like hitting the gym or quitting smoking—are fairly straightforward, if your list included a honey-do list and home improvements like a bathroom shower remodel, you might have more questions than answers. For many homeowners, full kitchen or bathroom remodel plans are on their top home to-do priorities—but is the time and investment worth it? Whether you’re thinking of renovating your bathroom to enjoy for decades or to help your house stand out on the market, the benefits of bathroom remodeling are numerous. There are a few things to consider before you get too deep into a bathroom remodel designs: your budget, your ability (and motivation), and your home’s market value. If you’re planning on staying in your current or newly purchased home for some time, pay attention to what you and your family are wanting out of the space, and (mostly) ignore what the market demands are. Make the space for you! This includes possibly adding another bathroom if space allows. Personal renovation will make the bathroom feel more like an extension of you, and less commercial. Quality of life should be included in your bathroom renovation and design. That may mean a window in your shower to view the changes in the season, a waterfall showerhead to relax after a long day, or a few handles just to make showering a bit easier. You get to decide! Speaking of quality of life, another advantage of a customized bathroom shower remodel is that it allows you to upgrade your appliances and layout to be ADA (Americans with Disability Act) Compliant. This can be especially helpful if you yourself need a space that’s more accessible, you have disabled family members that visit often, or if you care for a loved one with limited mobility. 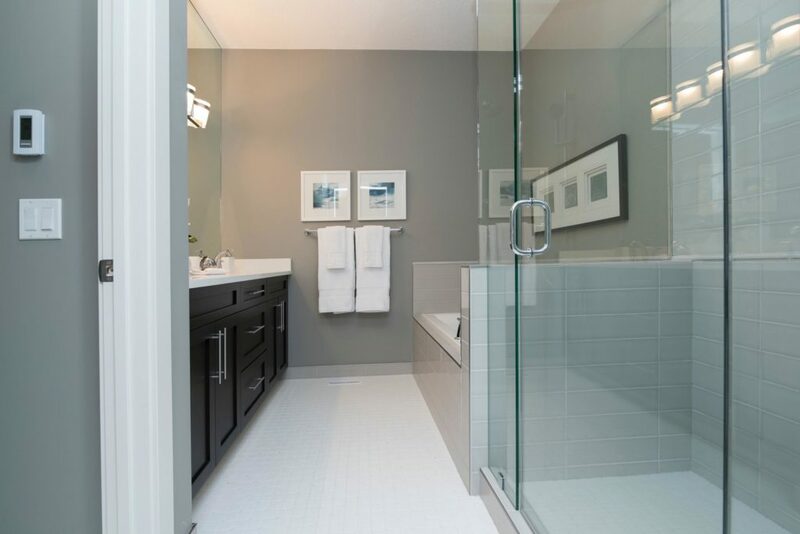 ADA Compliant showers with handrails and seating are both forward-thinking and inclusive, and they may also appeal to buyers when you do put your home up for sale. When putting together bathroom remodel plans, you have the unique opportunity of creating both an accessible layout AND an efficient layout. If you struggle with bathroom clutter, this is the best time to list out what you need from your bathroom shelving and cabinets and incorporate those into your design. Future buyers will appreciate the thought! Aside from the space itself being better organized, you can use your bathroom renovation and design to include more energy- and water-efficient toilets, faucets, and showers. One of the best bathroom remodel tips is to upgrade to efficient bathroom fixtures, for both saving money now (with your bill and rebates), and for highlighting in a real estate listing. 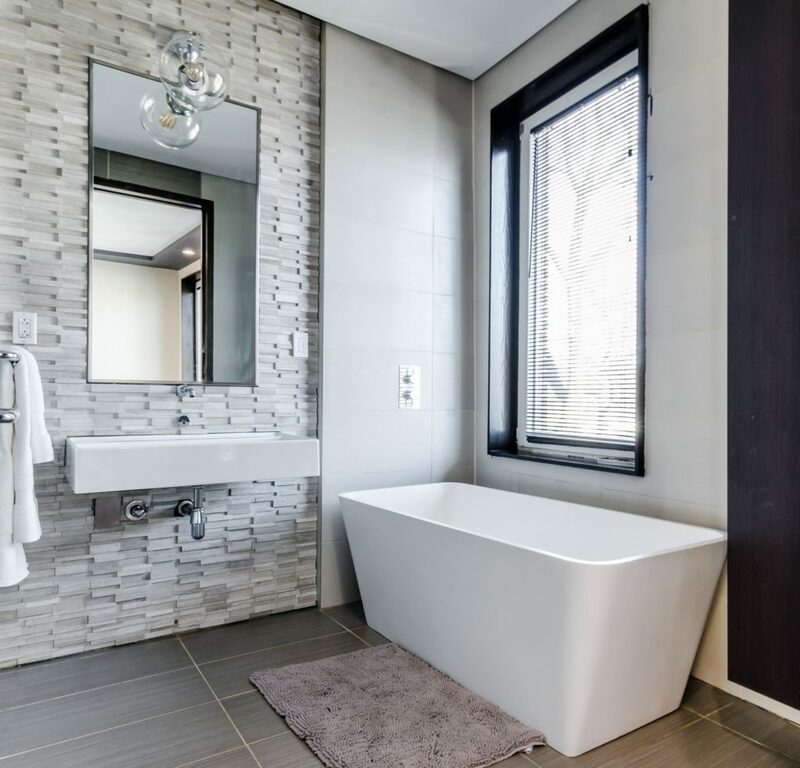 If you’re getting ready to put your home up for sale, one of the biggest benefits of bathroom remodeling is adding that information, and cost, to your listing. Homebuyers are looking for upgraded spaces in the rooms they spend the most time in—the kitchen and the bathroom. So, while a bathroom shower remodel may seem like a hassle, you should at least get your money’s worth, if not more, back in the sale. Adding shower windows, wrap around showers, and ADA Compliant designs will give buyers what they’re looking for: thoughtful updates that are ready to use. Bathroom Remodels Are Worth It! Now that you know the benefits of bathroom remodeling, where should you start? American Bath Enterprises, Inc. has a wide variety of styles and designs to fit your project, whether it’s a small upgrade or a full remodel. They also can help guide you with installation and recommend what would work best in your home, and they are happy to help with any questions you might have before, during, and after your bathroom shower remodel. Made in America, their products are top-notch. Call them today at 1-888-228-4925!